Hannon Jewelers has partnered with Wells Fargo Financial National Bank to offer financing on your purchases: Buy Today and Pay over Time! Rapid decisions on most applications. Services are available to US customers only. 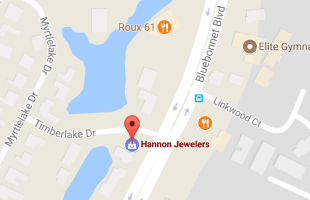 Hannon Jewelers offers this service for the convenience of our customers. We do not have any way to approve or reject any application for credit. This is done entirely by Wells Fargo Financial. Applications are available in store for customers applying for credit. Upon approval, Wells Fargo will be in contact with the applicant to give payment information and other documentation. The options and rates are offered by Wells Fargo, and are subject to change without notice. Please contact us for current financing options and rates: call us at 225-766-8242 or use our contact form.